(1 - 4) I think it was late August, on a day I hadn't planned on leaving the house. 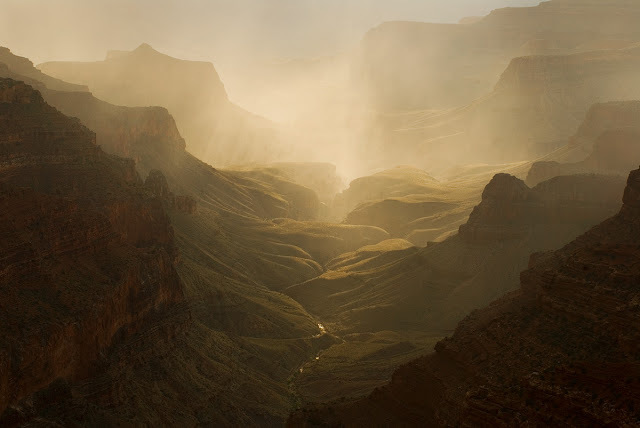 I read online that an intense monsoon storm was to hit the canyon, and gathered my camera gear hoping to get something good. I drove out to Cape Royal, a place I hadn't really photographed yet in stormy weather. 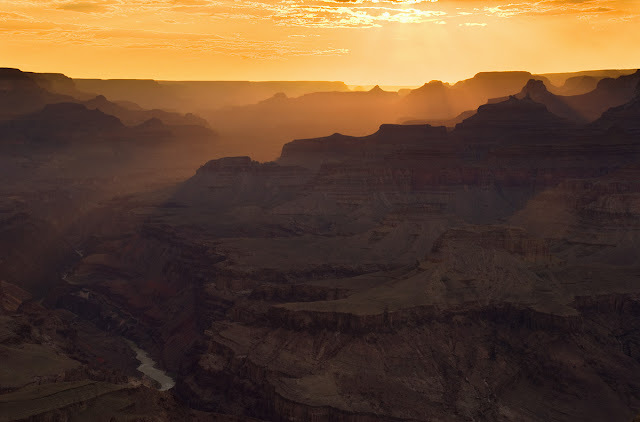 I hoped to do something completely different from the other canyon images I had. 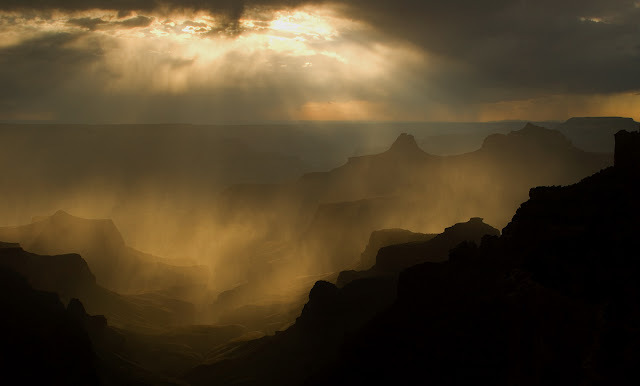 The ideal storm in my mind is one in which there is broken clouds, which allows some sun in to light up some parts of the canyon, while leaving others in the storm's grasp. 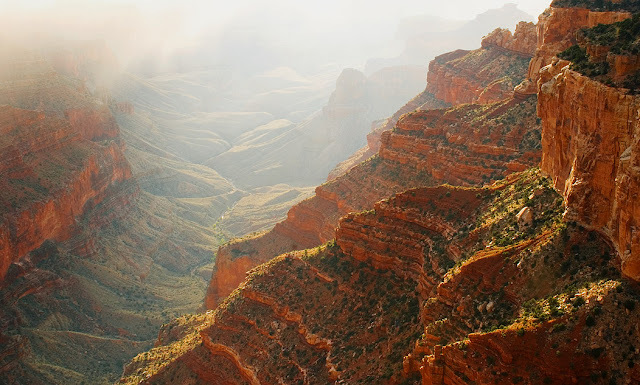 The sunlight works magic in the canyon when it is slightly obscured and focused onto individual formations. It has the effect of a spotlight on a stage. 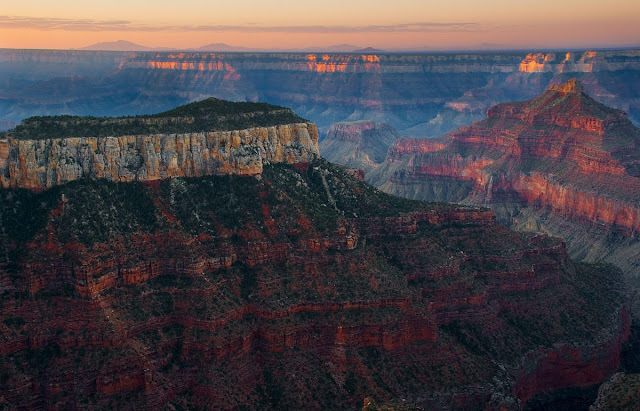 The Grand Canyon may be the grandest stage on earth. Walking out to Cape Royal from the parking area with a lightening storm bearing down was a little unnerving, Especially when holding a metal tripod and being on exposed edges. Seeing a girl's hair stand on end as if she had finger in an electrical socket didn't help much. However, the storm seemed a few miles off yet and I was determined to get my shots. Luckily, I was rewarded with an awesome show and hoped to portray what I saw unfold with as much accuracy as I could. 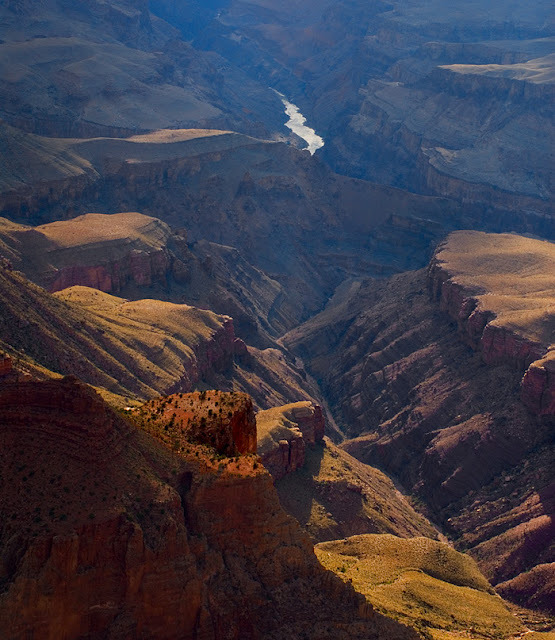 These may be my favorite images I had done of the canyon. 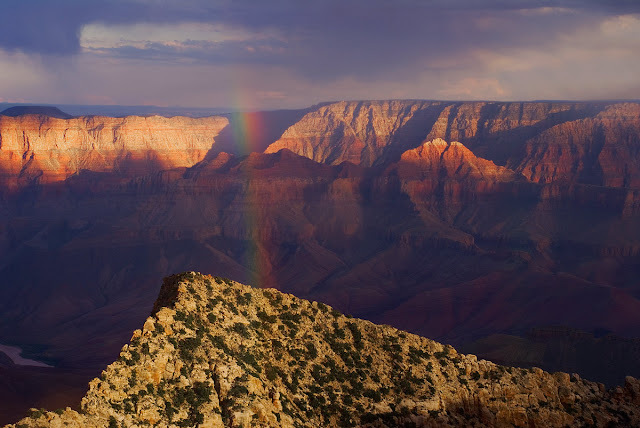 (8 - 10) In October, I had to leave my home on the North Rim unfortunately and head back to Pennsylvania for the winter. 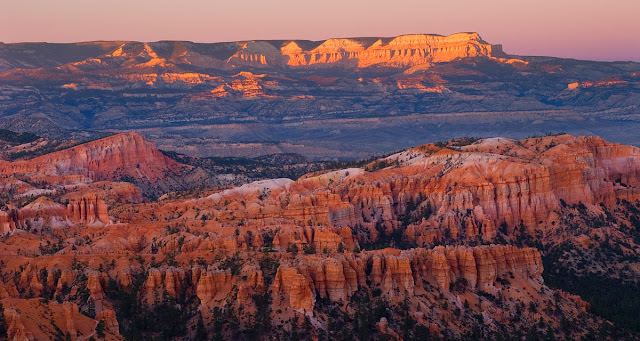 I was determined to see some places I had never been to before and picked Natural Bridges National Monument off the map and headed there. I had never even heard of it before. 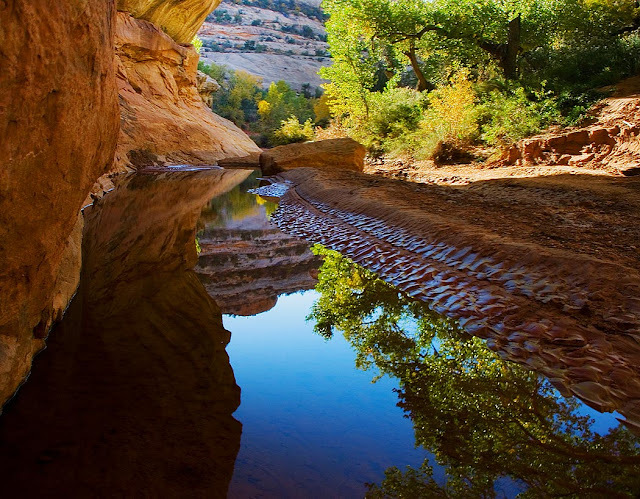 It's located just south of Canyonlands National Park in southeast Utah. I was pleasantly surprised. I picked a good time of year to go, as the trees in White Canyon where changing color, and there were very few others there. 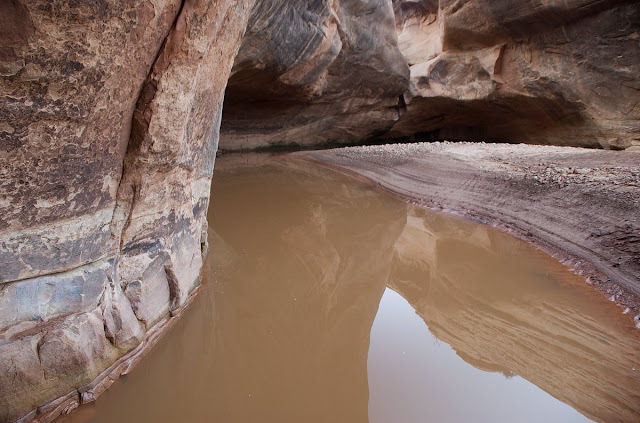 I had these narrow canyons to myself. 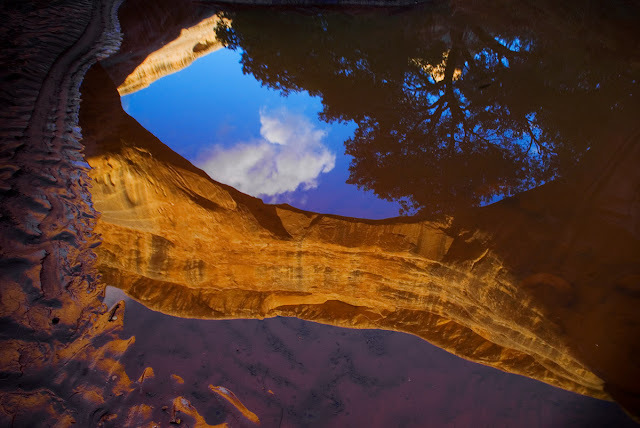 A storm recently passed through and left some pools and provided reflections. This will be a place I revisit in the future. All original photography and music copyright to Jake McFee 2009. Awesome Inc. theme. Powered by Blogger.